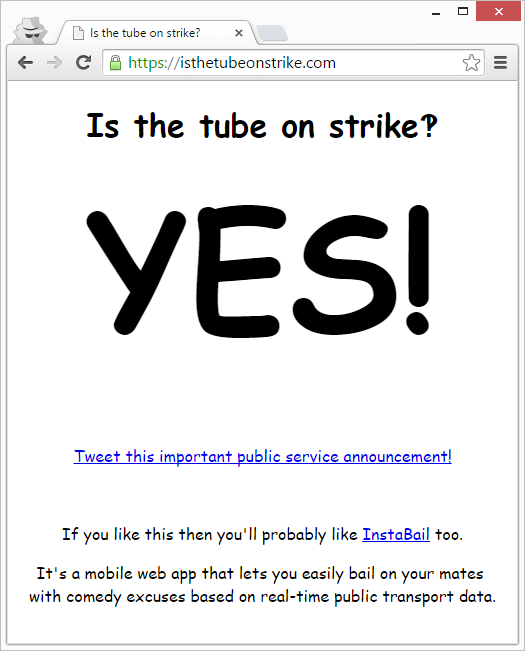 There’s a lot of information about the current tube strike in London, but really it can be distilled down to one simple binary question. 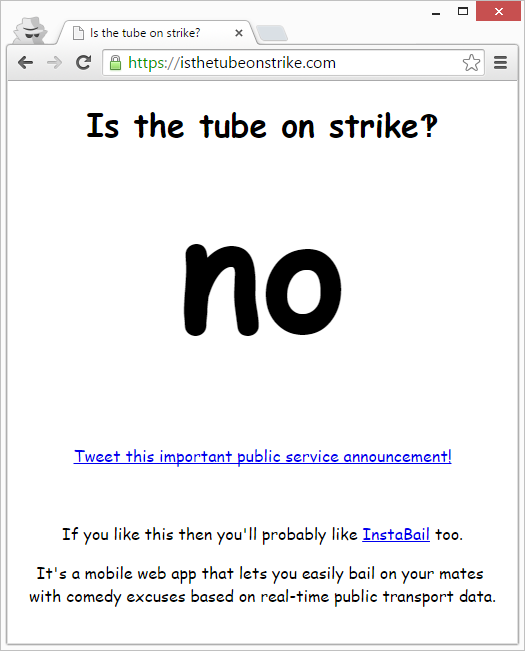 Clearly this needs a dedicated website and so I’m pleased to announce isthetubeonstrike.com. It currently looks like this. But come tonight it will auto refresh to look like this.